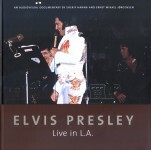 Sony Music's official Elvis Presley Collectors label, called Follow That Dream Records (FTD), was established in 1999. The driving force behind the label is Ernst Jorgensen. 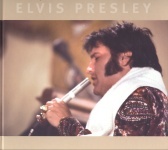 The label aims at the serious Elvis fans and collectors, and issues material that is generally not part of mainstream RCA label releases which aim at the general public. The material ranges from CD's and vinyl EP's containing soundboard recorded concerts to full RCA professionally recorded concerts, original classic album releases and alternate takes. In addition to the music, the FTD label publishes and distributes also very high quality books. Their first book was issued in 2001 (The Way It Was), and up to the year 2010 about one book per year saw the light. These books were written by various authors, including Ernst Jorgensen. From the year 2011 and on, an of average 2 to 3 books were released each year. 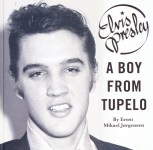 Most of them were authored by Pål Granlund in cooperation with his Flaming Star Elvis fanclub in Norway. So far, 26 books have been released by the FTD label (status: July 16, 2017), and new releases are announced regularly. Most of the books include one or two CD's or EP's. The only books without CD or EP are A Moment in Time, 4 Days in '56, King Creole: Frame by Frame and Jailhouse Rock: Frame by Frame. These last two books are not strictly FTD books, but Flaming Star productions which were distributed by FTD. 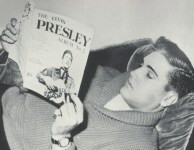 A complete list with all releases (books, CD's and vinyl EP/LP's) can be found on numerous websites, of which Elvis Presley FTD and Elvis on CD are most notably. These websites also have a detailed track listing of the CD's and EP's. The set of three books The World of Follow That Dream Records by Keith Flynn, Piers Beagley and Erik Lorentzen was not released on the FTD label, but by KJ Consulting. The book set reviews all the FTD releases from 1999 to September 2016, with the last entry His Songs of Praise, Volume 1. Since then, new releases were issued and hopefully they find their way to a supplemental (4th) book of the set. Note that the numbering of the FTD releases is not clearly defined. The releases as such do not carry a number. To distinguish between releases people started to number them to be able to place them in an ordered list (we love lists, don't we?). 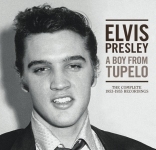 For example, Elvis on CD numbers all releases sequentially, but ommits books without CD's. 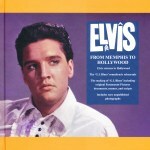 The numbering on Elvis Presley FTD follows the book set The World of Follow That Dream Records, where books were first given a number in-between CD releases. Starting with the book King Creole: Frame by Frame, the books were numbered starting at 201. With the appearance of vinyl releases, the first one (Blue Hawaii LP release) was randomly numbered 288. However, the 2 LP release of Moody Blue was given the number 501. In the reference list below, the books are numbered according to the 3 book set The World of Follow That Dream Records.